T H I S I S M Y H A I R A F T E R F I V E D A Y S W I T H O U T W A S H I N G.
Happy Tuesday, y'all! Today is all about hair! 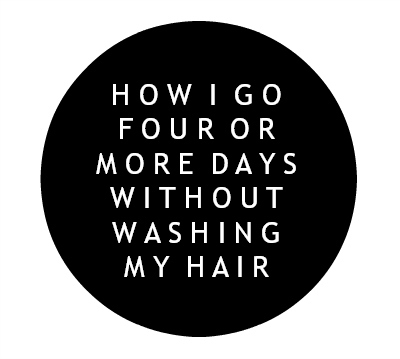 I feel like I have had this conversation with so many people in real life so I thought it would be great to share about how I go at least four days or more without washing my hair here on the blog. 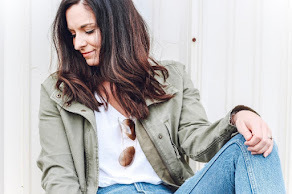 I shared lots of tips for this back in January but nine months later, I have more tips and tricks to go longer without washing! Before continuing, it's also important to note the texture of my hair. My hair is thick and a naturally a little wavy. So, if you have straight or wavy hair, I think these tips will definitely be helpful to you. When I tell people that I go this long without washing my hair, they are usually surprised and they almost always say that they couldn't go that long without washing their hair but you can. It's just takes some tricks and some time to train your hair! In high school and college, I literally washed my hair every single night. It was just apart of my nightly routine and I also thought I had to wash my hair everyday. I also didn't drink coffee and dry shampoo wasn't really a thing back then (I mean, I could never be a mom now without dry shampoo). I guess I had plenty of time to wash my hair and I wasn't as tired. My how times have changed! 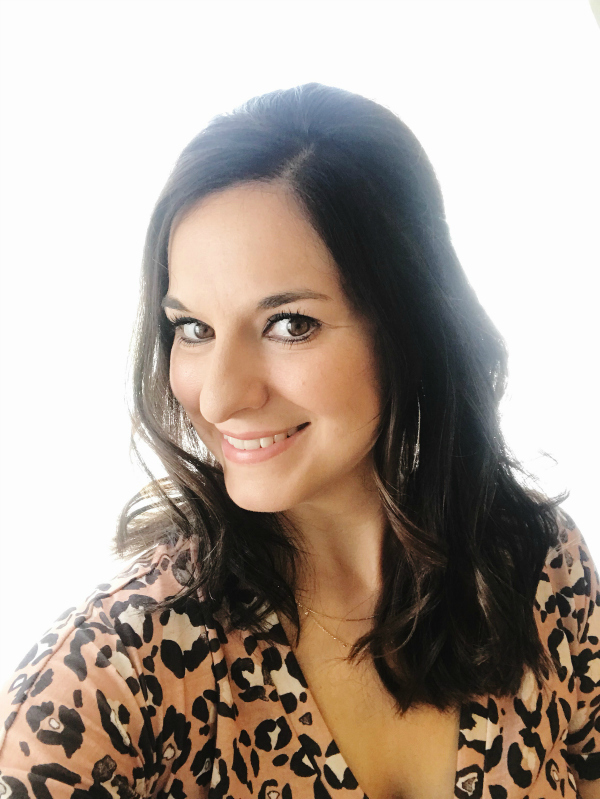 Every woman, especially moms, needs a great hair care routine that works for them and makes life easier, while still taking care of yourself. I am a big advocate for women, especially moms, taking care of themselves! You are important, too. 2. Can fade your color much faster. 3. Causes product build up. 4. Makes you more prove to split ends. 5. Strips your hair of natural oils that make your hair look healthy. I know that sounds kind of simple but so often we are in a hurry in the shower and we don't thoroughly wash our locks. Start by using a shampoo that is formulated for your hair type. I am currently using this shampoo for color treated hair! I wash my hair twice during my hair washing session. I also flip my hair over to make sure I am getting my scalp extra clean. After rinsing my hair, I apply conditioner only to the ends of my hair and let it stay on for at least 4-5 minutes before rinsing it out. I also try to take the time to properly blow dry my hair when I have time. I use a blow dry cream (or leave in conditioner) and a heat protection spray then I let my hair air dry as much as possible. I blow dry (with no brush) on medium heat at the fastest speed. After my hair is at least 80% dry, I use my brush to smooth my hair out. Always blow dry from the root to tip of your hair for best results. Having a good, smooth foundation, will also help you go longer without washing your hair. Since I only blow dry every five days or more, my hair doesn't suffer as much damage as it would if I were blow drying on a daily basis, like I used to do. I don't use a fancy blow dryer; just a $30 one from Walmart. I wouldn't be able to go without washing my hair for so long without my secret weapon, dry shampoo. I always apply my dry shampoo before bed because it gives the dry shampoo a chance to really absorb the oil in your hair and you wake up with fresher looking hair. I apply the dry shampoo to my roots in at least three different sections and I only use it at my roots. I have tried so many dry shampoos. Budget friendly and expensive. I love the more expensive ones but I found that this dry shampoo works really well for my hair and it's a great price (around $5)! I also use this hair brush to brush the dry shampoo through my hair. I also really love this hair brush for wet hair (and it's a great brush to use on anyone who has a sensitive scalp). Also, try to go as long as possible before using dry shampoo. I try not to use it until I have gone at least 36-48 hours without washing my hair. This wasn't necessarily possible when I first started this journey of not washing my hair as often but you will get there in a couple of months. After I have brushed my dry shampoo through my hair, I always throw my hair up in a messy bun or top knot before bed. When your hair is down, you are more likely to touch it and add more oil to it. I use these hair ties that I have shared before to pull my hair back. They are literally the best! They don't pull your hair out or leave a crease in your hair when you take your hair down. If they get stretched out, you can just put them in a cup of warm water to regain their original shape. These are a definitely a game changer and come in lots of colors to match your hair! Like I mentioned above, the more you touch your hair, the more oily it gets. So, hands off! I try to style my hair so that it would continually fall in my face because if it falls in my face, I'm definitely going to move it. I like pulling it half way back (like the photo at the top of this post) or I'll put it in a bun if I need to keep it out of my face. But also, try not to run your fingers through your hair. I do this out of nervous habit sometimes but I try not to do it because well, I don't want to wash my hair. You may have seen those crazy expensive silk pillowcases on the market that are good for your hair and skin. Well, I was too cheap to buy it but I was interested in the benefits so i found that satin pillowcases are a great budget friendly, similar option. As far as hair goes, it helps get your hair smooth. My bed head isn't quite so unruly now that I've been using my satin pillowcase for a few months. Hair that is less unruly means less work in the morning! Also, you won't have the need to wash your hair if you barely need to touch it up the next morning. Lastly, the question I get asked most often is how do you go without washing your hair when you have exercised?! I always pull my hair back to workout because I just can't exercise with hair falling in face. After I shower, I take my hair down and touch up with dry shampoo on my roots as necessary. I try to not over do it on the dry shampoo if I don't have to, just enough to freshen my hair up if I sweated a lot during my workout. Next, I just touch up my hair with my straightener or curling iron and I am good to go! I also try to avoid using a lot of hair styling products if I don't absolutely have to have it because it just causes so much build up on my hair and makes me hair look less clean. Also, refreshing your hair with your blow dryer after applying a little dry shampoo also helps dry up sweat, too. I hope this post was helpful! Thank you so much for stopping by! Have a great day!